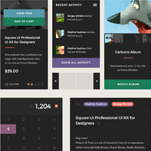 Square UI is a Premium set of beautiful components featuring the flat design trend by Designmodo. 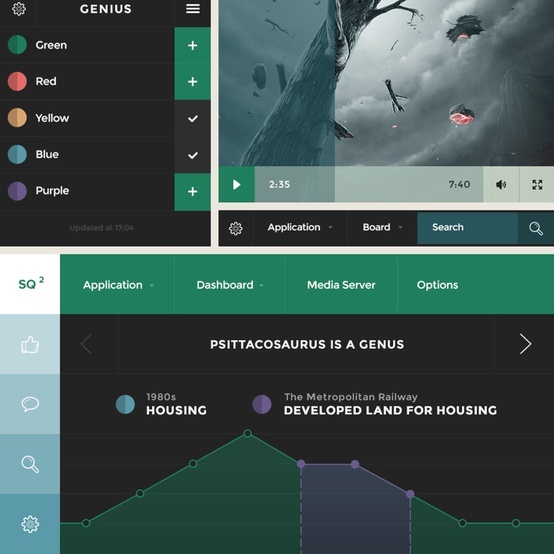 Square UI is our latest PSD User Interface Pack including a set of beautiful and pure components, which you can use to create startup projects, websites or iOS/Android Apps. 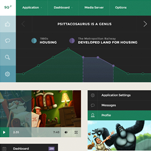 We love the latest flat design trend, and Square UI is made exactly in that style. 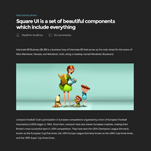 The simple, colorful and flat-designed components of Square UI are perfect for almost any project, from complex web applications and small startup projects to websites. Don’t worry about having to create new parts with each website update. Our kits contain a huge number of components and icons. You will be able to quickly develop high-quality prototypes in full-color. Your clients will appreciate prototypes with beautiful components. Do not waste time on the implemen- tation of the same components. Use your time to develop new ideas and projects. All components are made ​​with Shape Layers. You can change the size and maintain image quality. Plus every component is ready for use in Retina resolution. All components are made using the same styles and match each other wonderfully. You can easily combine them in a variety of design projects. You will find Video players, Buttons, Text edits, Menus, Sliders, Beautiful Complex Blocks and many other useful web elements. Text elements use the Montserrat typeface, this font is available free on Google Web Fonts. 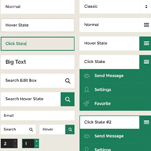 All components are available in several PSD’s, making it simple for you to find any of the pack’s components and add pieces to your layout with a simple drag and drop. Each component is placed in its own group, and named appropriately. We have chosen a nice color scheme that you can apply using our Styles & Swatches. Correct names of layers and separate groups for each component will help you easily find each component. 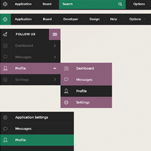 The PSD file with Simple Elements was made featuring bright and dark backgrounds. 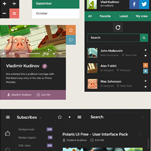 What do you think about Square UI? Let us know in the comments.